Alumni launch Legacy Challenge scholarship giving campaign. 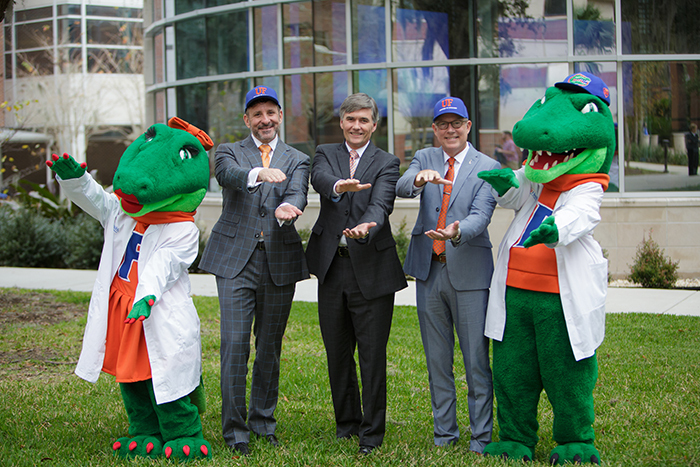 Jason Rosenberg, MD ’95, and James Duke, MD ’85, joined UF medical students in front of the George T. Harrell, MD, Medical Education Building last month to launch the Legacy Challenge scholarship giving campaign. 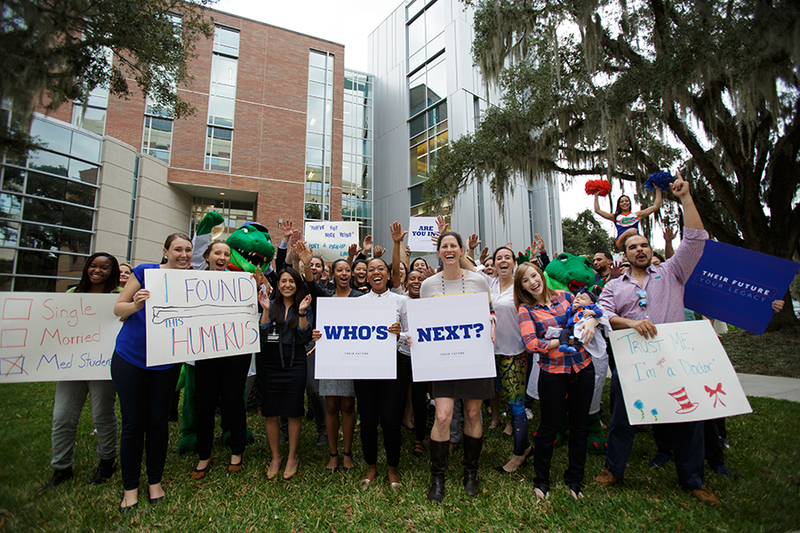 The UF College of Medicine is recruiting alumni and friends to join the team and leave a lasting legacy for future generations. To learn more, visit scholarships.med.ufl.edu. 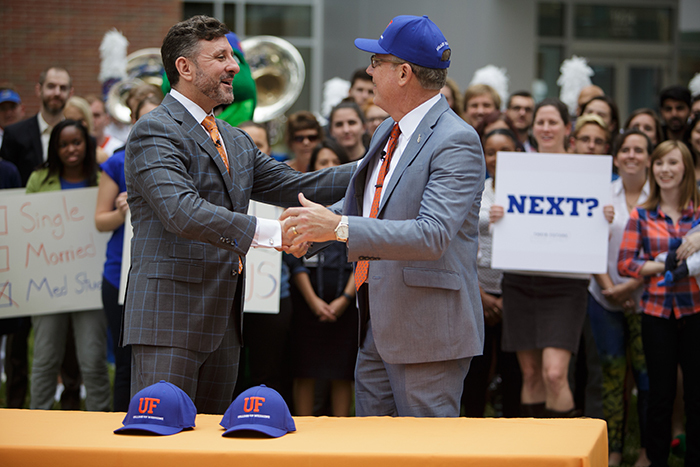 This story originally ran in the Winter 2017 issue of the Doctor Gator newsletter. College of Medicine faculty in the news.